Ready to transform your body & life? Join me for 12 Weeks, to Totally Transform Your Body and Your Life! 12 weekly payments of just $19.95 USD per week OR One-time Payment of $197 USD! Hi my name is Jon Gabriel author and creator of The Gabriel Method and I’m excited to announce my 12-Week Total Transformation Experience. and to help you transform your body into a body that wants to be thin, fit and vibrantly healthy. I’m not talking about going on a diet, or a meal plan, or a program, or counting calorier or cutting out all carbs or cutting out all fats, or crazy exercise routines. We’ve all done that before…and unfortunately it just doesn’t work in the long term. I’m talking about transforming yourself from the inside out, on a cellular level, to get your body to actually want to be thin. Because when your body wants to be thin you lose weight easily and naturally and most importantly you keep it off. Back in 2004 I lost over 220 pounds…without restrictive dieting and without extreme exercise and I’ve been the same weight since. As you may know I’ve written a book about how I lost the weight called The Gabriel Method…and The Gabriel Method is an international best seller that’s been translated into 16 languages and in 60 countries. I have also written 3 other best-selling books. And I have traveled the world giving talks, lectures and retreats to tens of thousands of people.. So not only have I been able to transform my own body, I’ve now helped hundreds of thousands of people around the world do the same. And my approach has always been the same with everyone I work with and that is…Helping them transform their body into a body that actually wants to be thin. And that’s the biggest difference between the approach I’m offering you right now and everything else out there. But what if you could actually get your body to want to be thin? you’re not on a program anymore..
And I say, ‘there is nothing wrong with you, your body simply now wants to be thin'. And there’s an actual science and process to getting your body to want to be thin. It’s the same process I used to lose over 220 pounds back in 2004 and keep it off ever since and the same process I’ve used to help people around the world and I’ve been perfecting the process ever since. This program, The Gabriel method 12-Week Total Transformation Experience is the sum total of my own experience and years of research, writing, teaching, coaching and training. This is a step-by-step, weekly class designed to help you address and eliminate every conceivable trigger that may be causing your body to hold onto weight. You see most people don’t realize it, but there’s much more to permanent sustainable weight loss than just counting calories. In fact, the whole dieting paradigm is flawed. Dieting creates a famine or scarcity mode in your body and that actually makes your body want to be fatter. You may lose some weight in the short term, but then certain subtle hormonal changes take place in your body that make you insatiable hungry, slow your metabolism down and cause you to crave more fattening foods. Then you start fighting cravings day and night. Eventually ( if you’re anything like me) you can’t take it anymore and you have a big binge and gain all the weight back plus more. That was my experience with dieting and you may have experienced this too. That’s why studies show that most people that go on a diet are heavier 5 years later than when they started the diet. Why should this be if dieting worked? If dieting worked there’d be one diet, everyone would go on it, everyone would lose weight and that would be the end of it. But that’s not the case as you know. No the whole dieting paradigm is flawed. What you need to understand is that there are reasons why we gain weight and it’s not just about food. Each of these issues act like triggers that cause your body to hold onto weight. What you need to do is address and eliminate each of these issues, and when you do, your body lets go of the weight easily and naturally and most importantly. 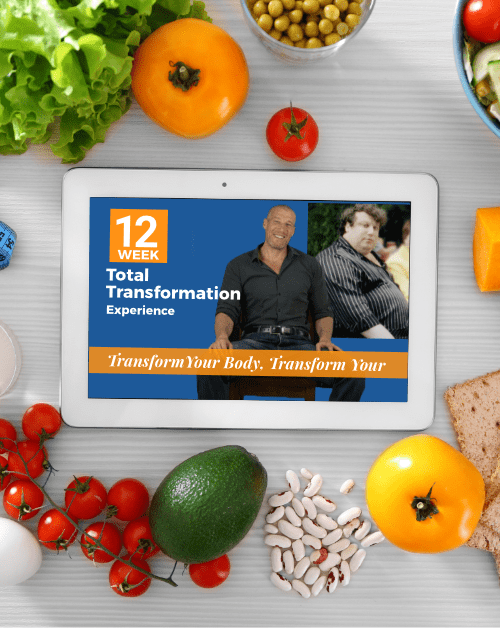 You need to devise an approach that systematically, step-by-step addresses and eliminates each and every fat trigger, one by one and that’s what The Gabriel Method 12-Week Total Transformation Experience is all about! In The Gabriel Method 12-Week Total Transformation Experience we’ll focus on a different fat trigger each week. Again, I’m not talking about dieting or restriction. I may ask you add healthier food for the sake of nourishing your body better or healing your digestion or cleaning your liver, but that’s just adding, not replacing. If you want to continue to eat other foods that you know are bad for you that’s fine. Eventually, the healthier you get the more your body will crave those healthier foods and the less it will crave the junk foods. That’s transformation from the inside out and that’s what this program is all about. Also this is a mind-body holistic approach. So we’ll always start by addressing the mind, because the mind controls the body. It’s simple, it’s powerful and it’s works. So if you’re ready to get started, it’s just $19.95 dollars a week. The Gabriel Method 12-Week Total Transformation Experience is a step-by-step approach to solving your weight issues once and for all – WITHOUT DIETING!!! Designed with simple action steps and weekly classes to address and eliminate every conceivable fat trigger, plus give you all the support you need during your journey! 12 Weekly Fun Inspirational Classes – these are the kind of classes you’ll look forward to each week. Each class focuses on a specific FAT trigger and details exactly what to do to make your body need to be thin instead of being tricked into being fat (knowing these FAT triggers will change everything for you). You’ll also discover what your “set-point” is, and how to shift your set point so your body loses weight easily and naturally and keeps it off. Once a week for the next 12 weeks you’ll get a new class. Once a class is released you can download it and listen to it whenever you want from the comfort of your home. You get access to these classes for LIFE! You can go at whatever pace works best for you, take a break if needed, and go back to them anytime. As soon as you join, you'll be invited into our private online community. Where you'll meet other wonderful, like-minded people who are also ready to transform their lives, just like you! Each week my Gabriel Method Expert Coaches host live Group coaching sessions via our private Facebook group. In addition, you get simple daily action steps you can choose to follow to address each and every possible fat trigger, so your body can let go of weight quickly and easily. You’ll not only lose weight but you’ll also start to have more energy and vitality, feel calmer and more centered, be more present and connected and feel amazing mentally and physically. Just like breathing, as soon as you get in the routine of using these action steps, you’ll never have to think about them again as you enjoy newfound health, vitality, energy and permanent, sustainable weight loss! Join our private FB group where you can get ask questions 24 hours a day and get answers from me, our coaches, our support staff and success stories. Connect with people all over the world that will help support you and inspire you. In this special Gabriel Method Recipe Book, you’ll get hundreds of delicious, easy & QUICK mouthwatering breakfast, lunches, dinner, snacks and desserts that are all designed to nourish your body and turn off the FAT programs and they taste great. In fact, I’ve been told that many of them are “out of this world”. Even “Foodies” LOVE this book. You’ll get amazing healthy recipes for things like… chocolate mousse, pizzas, curries, lasagnas. And they’re ALL super DELICIOUS and super NUTRITIOUS. Learn how to start cleansing your body and living a detoxification lifestyle with The Gabriel Method detox program. This is an extremely simple and gentle approach to helping your body eliminate toxins. As your body lets go of toxins, the weight starts to melt off. You don't have to use them if you don't want to. It's up to you. I just want to give you everything I can to help you be as successful as possible. It's information you can't find anywhere else and it's all yours FREE as part of the 12-Week Total Transformation Experience. The Gabriel Method ‘less is more’ fitness approach will show you how to get your body to activate the “get thin or get eaten” adaptation with just a few minutes of exercise a few times a week. No more long, boring cardio, this is about working with your body’s survival programs to get your body to want to let go of weight. This is a one day event Jon filmed at his house with four participants. Watch Jon work one-on-one with each one to help. Get started asap with this powerful coaching program. Discover the Gabriel method principles quickly and easily with this 4 part video series in this relaxed coaching environment. Discover how to identify your fat triggers as you watch these coaching sessions. It’s like spending an afternoon with me from the comfort of your own how. Includes 4 videos classes and 5 one-on-one coaching sessions. This is one of the smallest and most intimate gatherings I’ve ever had, and it provides a total immersion into everything we’ve discussed today. A sold-out one day seminar for 500 people filmed in high definition. Experience cutting edge strategies for healing your body and mind with The Mind Body Weight Loss Summit. So that you can start working through emotional issues and reducing stress, quickly and easily, I’m also going to give you instant access Tapping for weight loss program. This is one of my most comprehensive events with weekly classes and guest expert teachers that help walk you step-by-step through the process of transforming your body. Yours for life as an added bonus to help give you everything you need to be successful. Again, these bonuses are here to support you on your journey. Yours FREE for joining The Gabriel Method 12-Week Total Transformation Experience! And NONE of it is out of reach…. 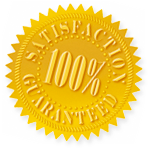 When you join today, do so with complete peace of mind with my 100% lifetime money back guarantee. 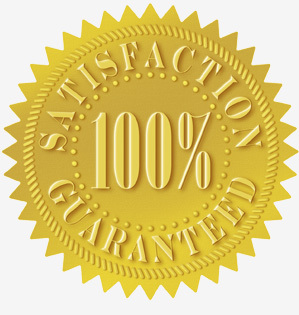 If you're not completely satisfied just contact support and you can ask for a full refund for any reason at any time. Hi Everyone. Celebrate with me today! I have lost 10 more pounds (total down 40 pounds) I was taking insulin for out of control blood sugars, but now my blood sugars readings are almost all at a good level now.